MAP Recovery Network members are committed to collecting outcomes data which gives them the ability to demonstrate their treatment success rates. Membership in the MAP Recovery Network provides more opportunities for Grace’s Way to make a long-lasting difference in the lives of those battling this chronic disease. Salima Patel, Director of Business Development, Grace's Way. MAP Health Management, facilitator of the MAP Recovery Network, announced today that Grace’s Way Recovery has joined the Premier Outcomes-Driven Provider Network. Grace’s Way differentiates itself in the addiction treatment space with a treatment culture dedicated to stopping the cycle of relapse, which coincides with the mission of MAP Recovery Network members. The MAP Recovery Network is an alliance of more than 70 addiction treatment providers dedicated to collecting outcomes data on their discharged patients and reporting the rates of treatment success. The field of behavioral health is in transition. Potential patients and their health insurance companies are demanding to see treatment success rates, which is the standard in other forms of chronic disease management. Recovery Network members are leading the way with both responsive and proactive initiatives. Membership in the MAP Network provides members with the ability to access a wide array of addiction treatment resources including MAP’s renowned post-treatment Recovery Support Services. In the first year following treatment the risk of relapse is high and post-treatment support helps patients successfully transition from the short-term recovery experienced during addiction treatment to long-term recovery following treatment. The advancements in telehealth provides Recovery Network members the ability to offer professional, extended recovery support to their patients who have recently completed treatment. By embracing telehealth services and extended recovery support, Grace’s Way embraces the entire continuum of care for their patients. Membership in the MAP Recovery Network gives quality treatment providers access to the latest technologies in an increasingly data-driven space. Grace’s Way is paving the path for continued success in the battle against addiction. Grace’s Way is a small, intimate, family-style treatment program founded on a vision by a grateful mother and her son in recovery. 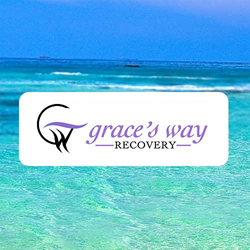 Using evidence-based therapeutic modalities and individualized treatment approaches, Grace’s Way has shown clients that a purpose-driven life IS possible for any individual seeking long-term recovery from addiction. With programs emphasizing relapse prevention, trauma-informed therapy and family wellness and recovery, Grace’s Way strives to provide their clients with excellent and individualized care. An integrative approach to healing the mind, body and spirit starts in heart and this philosophy is echoed throughout this organization. At Grace’s Way the belief is that the cycle of relapse stops here. For additional information please visit http://www.gracesway.com. The MAP Recovery Network, The Premier Outcomes-Driven Provider Network, is comprised of quality addiction treatment providers committed to measuring outcomes data. MAP Network members differentiate themselves to behavior healthcare consumers and health insurance payers by demonstrating treatment success rates. MAP’s dedicated teams of research analysts, clinical directors, recovery advocates, technology professionals and billing experts work to improve patient outcomes, empower treatment providers with data, reduce costs and drive facility revenue. For more information see http://www.MAPNetwork.com and http://www.ThisisMAP.com.